This workshop is for intermediate and advanced players featuring a wide variety of renaissance, baroque (and a little 20th century) ensemble music with internationally renowned Early Music Specialists Laura Kuhlman, Gayle Neuman and Phil Neuman. 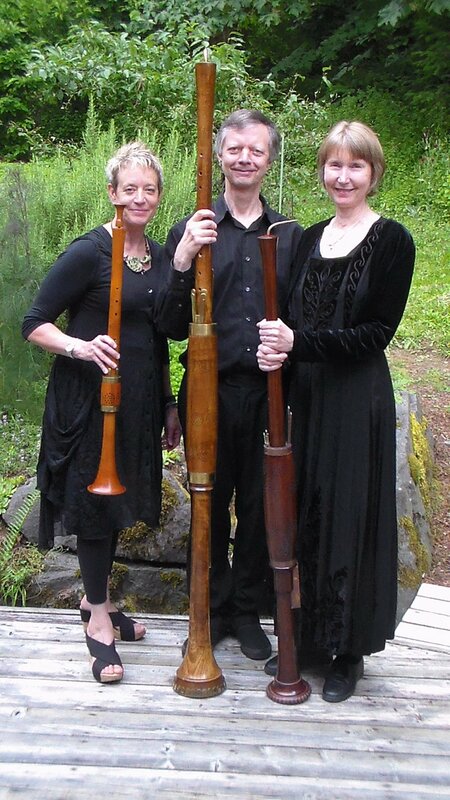 On Friday, July 12 at 7 PM at St. Michael’s Church in Kelowna and on Sunday, July 14th, at 7 PM, at All Saints Anglican Church in Vernon, Laura, Gayle and Phil will present a concert of early music on a wide variety of period instruments. The concert admission is included in the workshop fee, and it is also open to the public for an admission price of $27 (regular)/$23 (senior/student). We hope you will be able to attend with friends and family. If you are visiting out of town, we have a block of discounted rooms for you. Please contact us at music@vernonproms.ca for information. If you prefer to pay by cheque, please email us at music@vernonproms.ca for instructions.